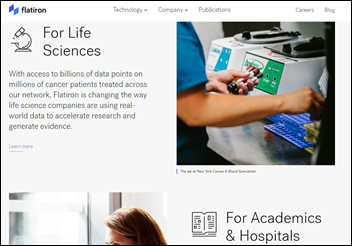 Drug maker Roche will acquire oncology EHR and personalized medicine vendor Flatiron Health for a $1.9 billion in cash, valuing the company at $2.1 billion including Roche’s previous investment in it. Flatiron had raised $313 million in three funding rounds from 2013 to 2016. The company was valued at $1.2 billion just two years ago. Nat Turner and Zach Weinberg started the company in 2012 after selling their previous advertising technology company to Google for $70 million. Google Ventures, now Alphabet, invested $130 million in Flatiron Health in May 2014. The founders graduated from The Wharton School’s undergraduate program in 2008, which would make them around 32 years old. Welcome to new HIStalk Platinum Sponsor Loyale Healthcare. The Lafayette, CA-based company– founded in 1990 as CashNet – helps make a patient’s financial experience as positive as their clinical experience. That’s especially important as patients become responsible for a bigger portion of their healthcare costs. 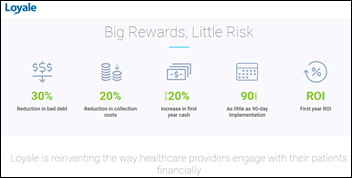 The company’s predictive analytics and behavioral indicators create personalized patient financial plans and workflows that allow providers to conduct honest conversations about treatment costs and payment responsibility. Patients appreciate getting the transparency and support they need to feel in control, while provides are taking the cue of successful retailers who recognize that their most valuable asset is their customer relationships. They can increase revenue, decrease staff time, and minimize bad debt while providing personalization that optimizes affordability and collections. Loyale’s patient relationship portal provides balance notification, combined statements, 24/7 self-service, online payments, and secure digital communication. Its platform applies KPIs, best practices, red flags, and analysis of patient sentiment and behavior while integrating with all leading systems. Thanks to Loyale Healthcare for supporting HIStalk. Here’s a just-released Loyale Healthcare explainer video. Allscripts reports Q4 results: revenue up 22 percent, EPS $0.18 vs. $0.14, meeting earnings expectations and beating on earnings. Bookings fell far short of expectations, however, sending shares down in early after-hours trading Thursday. The company announced that it will sell the OneContent document management software business it acquired as part of McKesson EIS to Hyland Software for undisclosed terms. 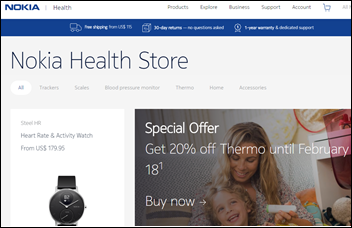 Nokia announces that it is conducting a strategic review of its digital health business just two years after it created it by acquiring connected health hardware vendor Withings for $212 million. Nokia had already written down $164 million worth of goodwill related to the business in October 2017. The Chartis Group acquires Atlanta-based consulting firm Oncology Solutions for an undisclosed sum. 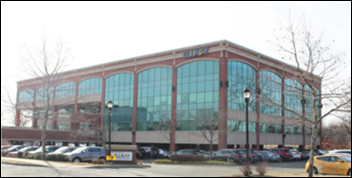 Ellkay relocates to larger office space in Elmwood Park, NJ that will accommodate up to 500 employees. Rehab therapy software vendor WebPT acquires billing and collections company BMS Practice Solutions. 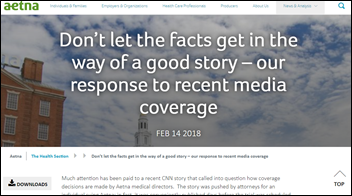 The story was pushed by a former patient who is suing Aetna and was “conveniently” published just days before the trial was scheduled to begin. The medical director said in a sworn statement that he always reviewed the relevant portions of medical records, nurse summaries, notes, and the company’s Clinical Policy Bulletins. Aetna has paid for all of the $20,000-per-dose treatments of the patient who is suing them. That person remains an Aetna member. The only treatment interruption he experienced happened because he refused to provide blood work ordered by his doctor. A retrospective study shows that patients who used Glytec’s Glucommander Outpatient insulin therapy management tool and self-tested blood glucose levels twice a day saw better outcomes, including a 3 percent reduction in A1c levels, than those who did not. An Allscripts client newsletter says the company’s counsel has concluded that its practice customers do not need to notify patients or OCR following its January ransomware attack. 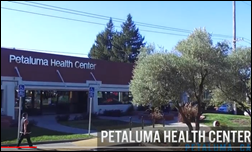 EClinicalWorks posts a nicely done video that describes the work of Petaluma Health Center (CA) during the Northern California wildfires of October 2017. AltaPointe Health (AL) adopts the Carequality framework via its Netsmart EHR. Medecision looks back on a successful 2017. Elsevier collaborates with the VHL Alliance to offer content on Von Hippel-Lindau disease at PracticeUpdate.com. Independent reviewer G2 Crowd names the Liaison Technologies Alloy Platform an Integration Platform as a Service Leader. Vyne adds new features, including a Web portal, to its FastAttach electronic claim attachment software. Definitive Healthcare welcomes its 1,500th customer. The Obix Perinatal System of Clinical Computer Systems, Inc. earns ONC 2015 Edition Health IT Module certification.